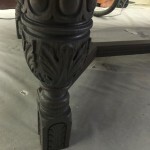 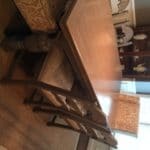 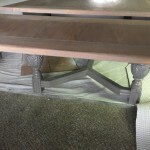 This unbelievable Jacobean, oak dining table set had been my customer’s family for decades. 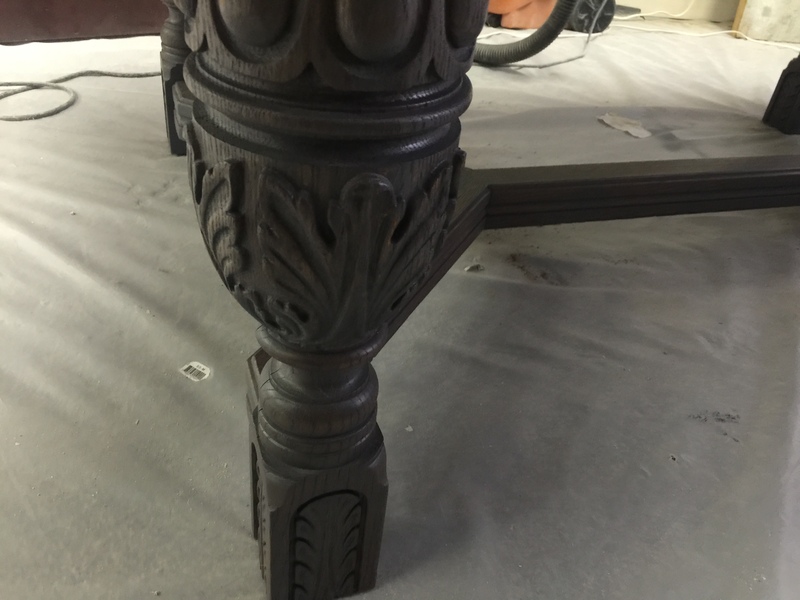 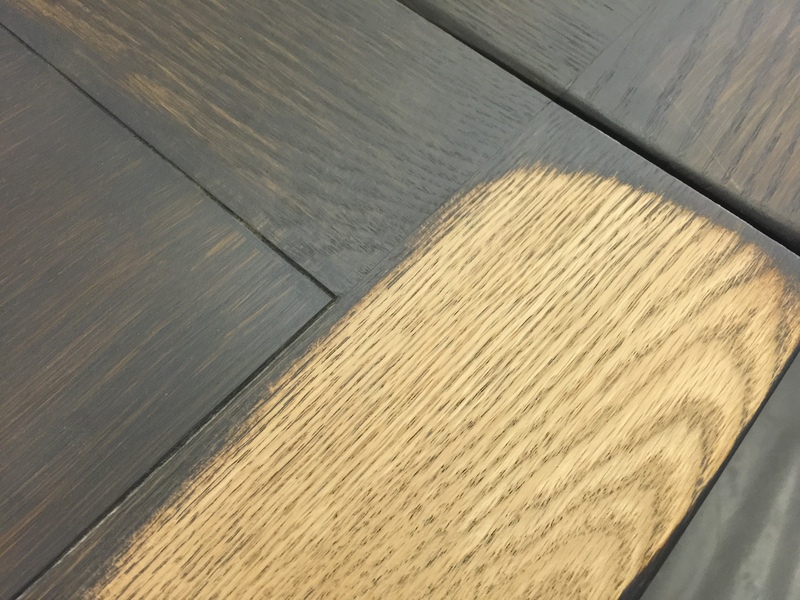 It’s constructed of solid oak and meant to last several generations. 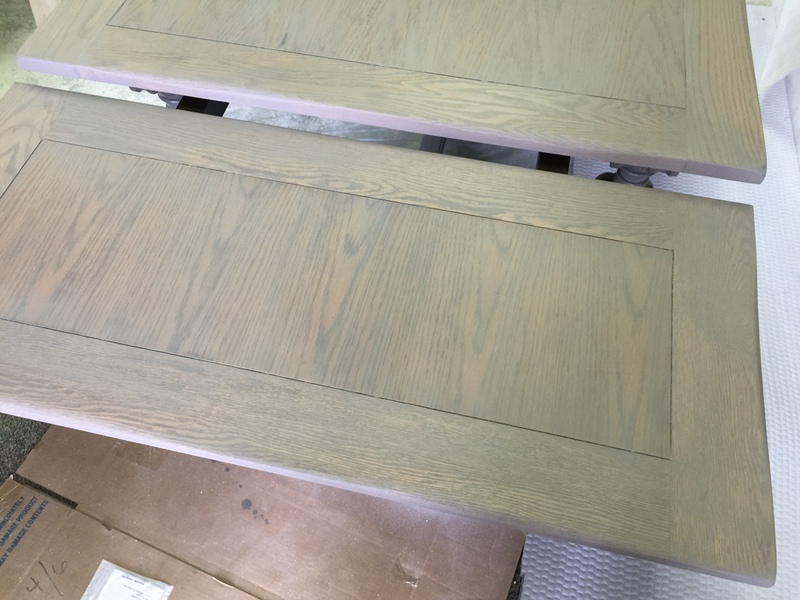 But after my customer’s first unsuccessful try at staining it gray, she brought it to me and explained her vision. 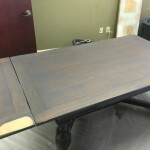 No more dark blue-gray. 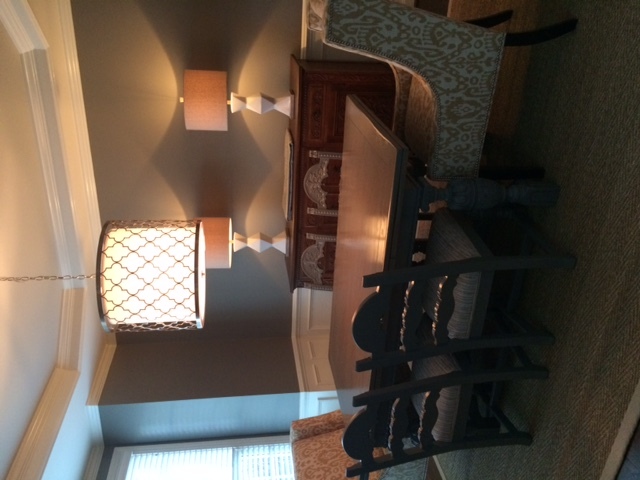 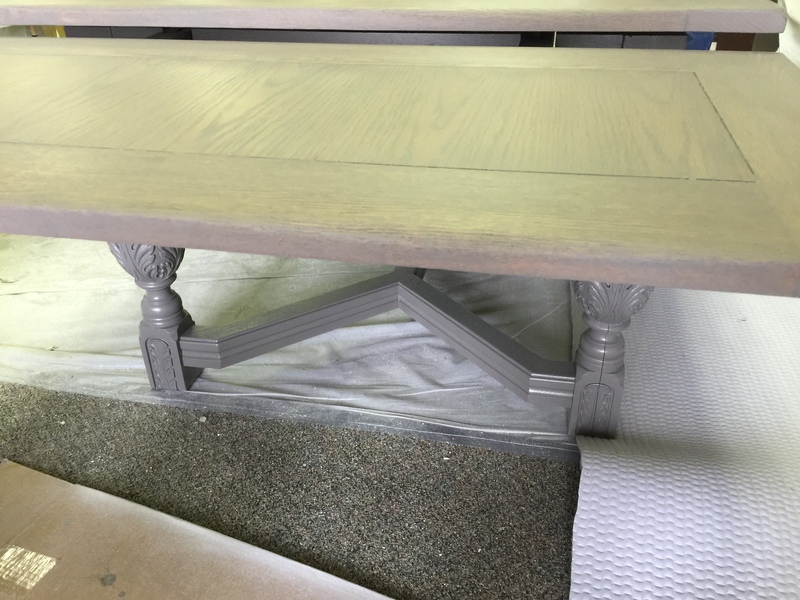 It needed to be a soft, warm, taupe-gray. 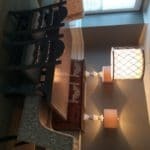 so that it would blend in with her elegant dining room features. 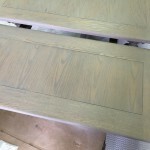 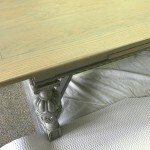 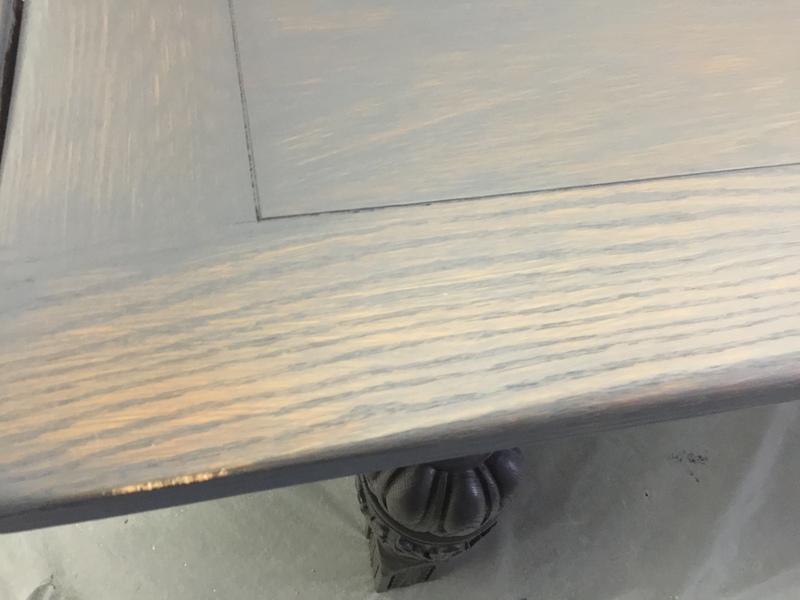 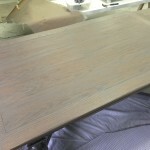 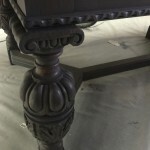 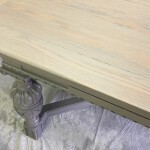 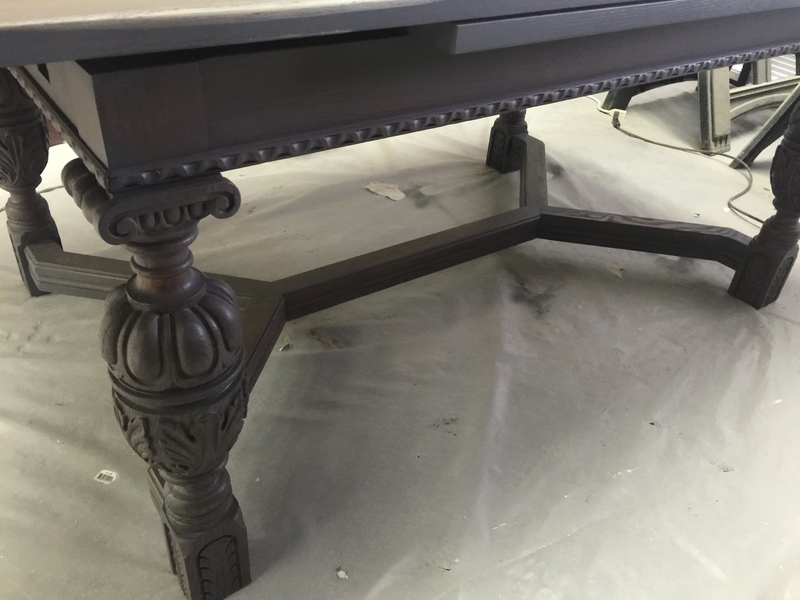 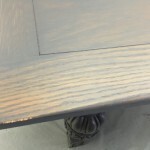 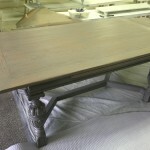 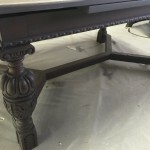 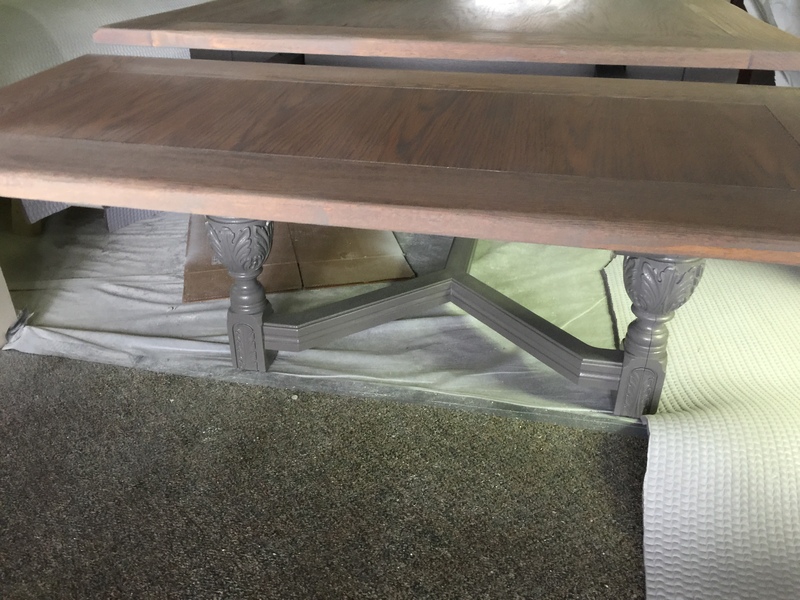 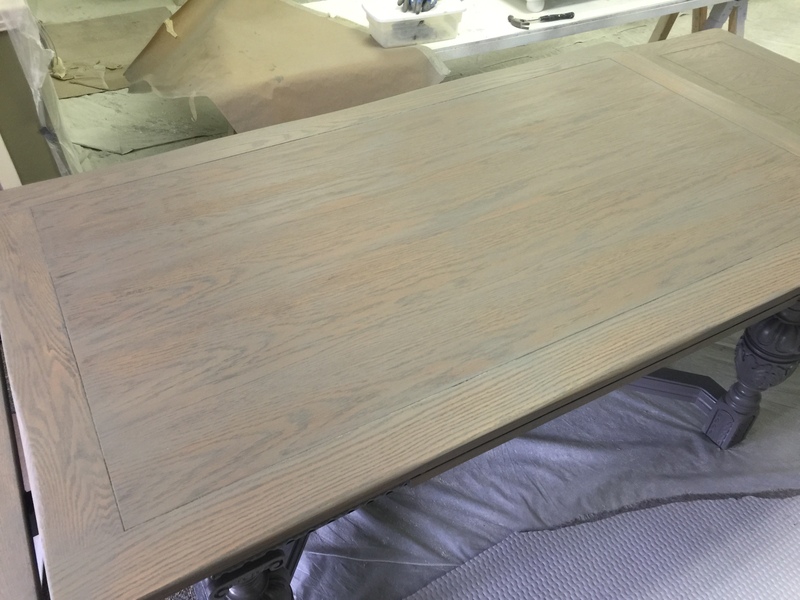 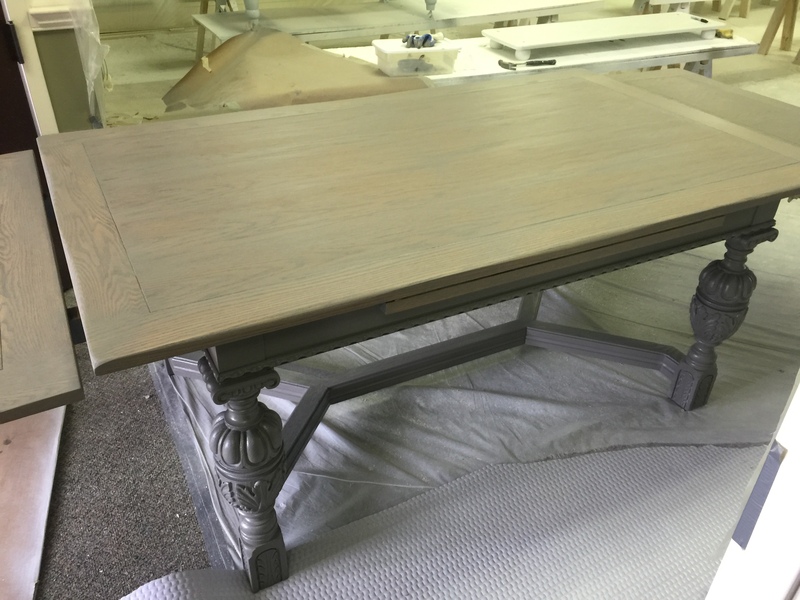 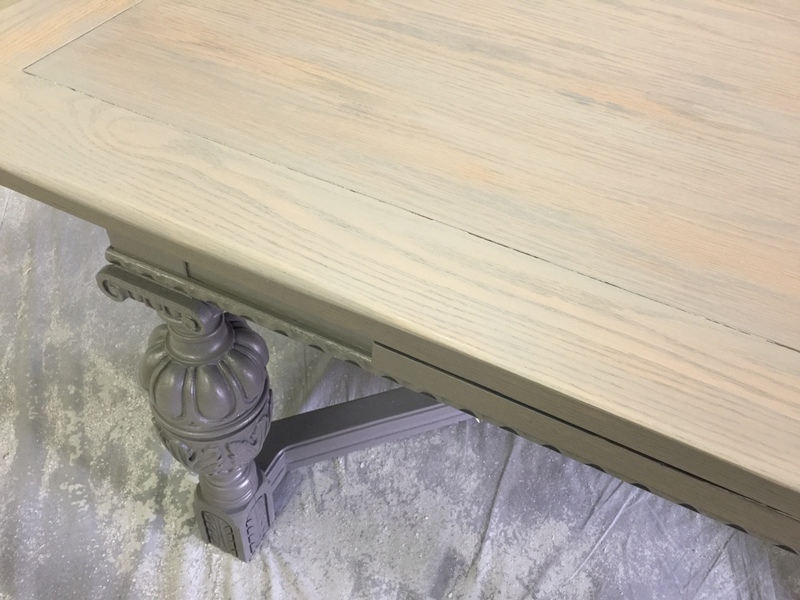 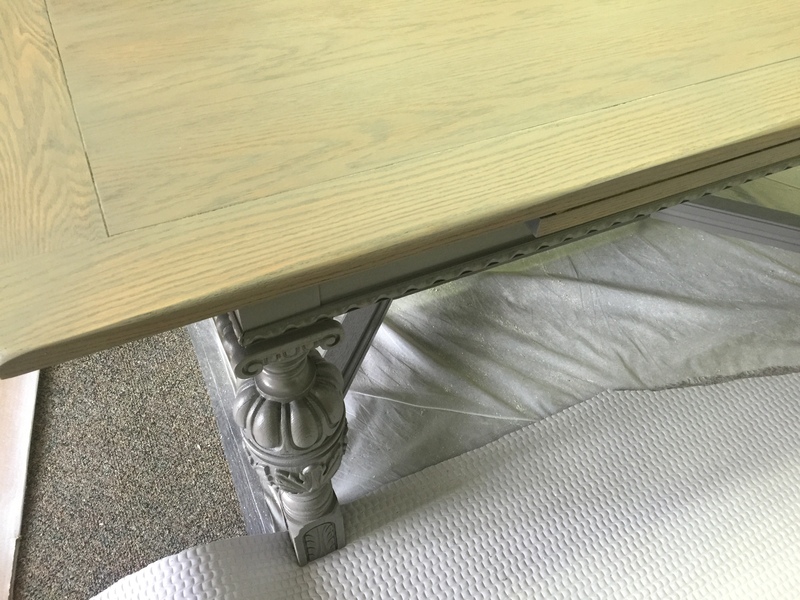 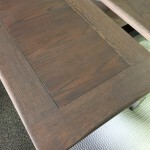 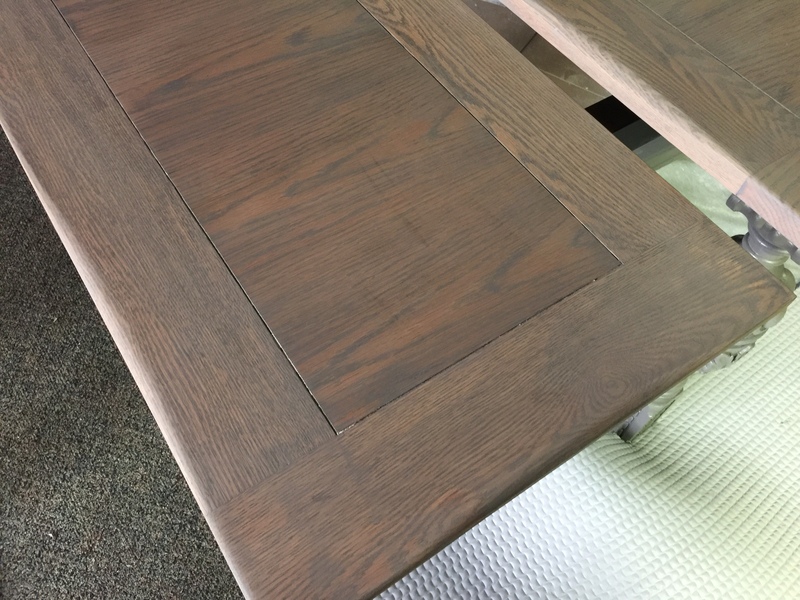 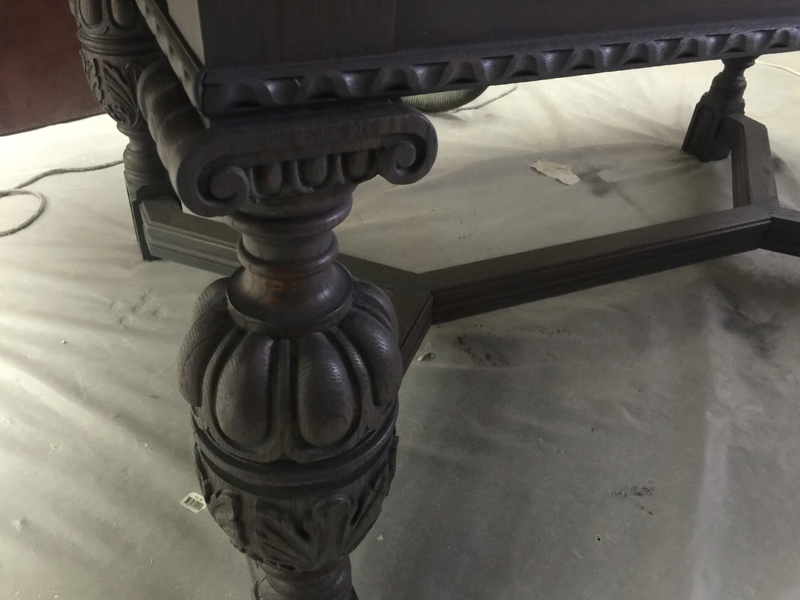 I ended up mixing a paint wash of the same paint color we used on the base, and used it to “stain” the table top. 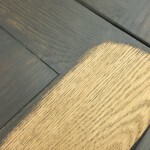 It was the perfect solution! 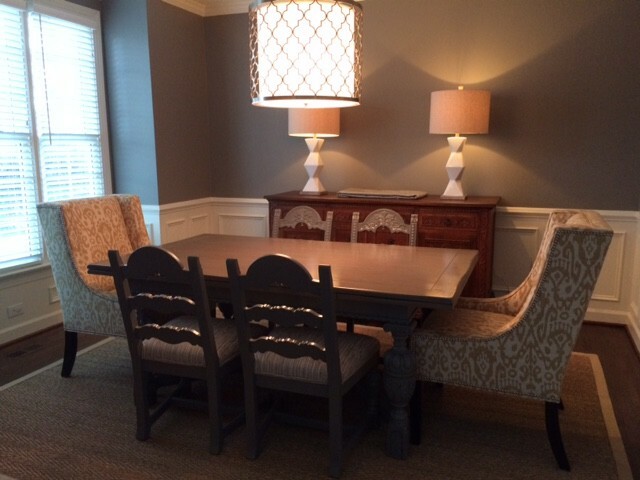 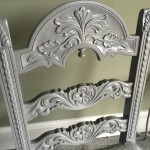 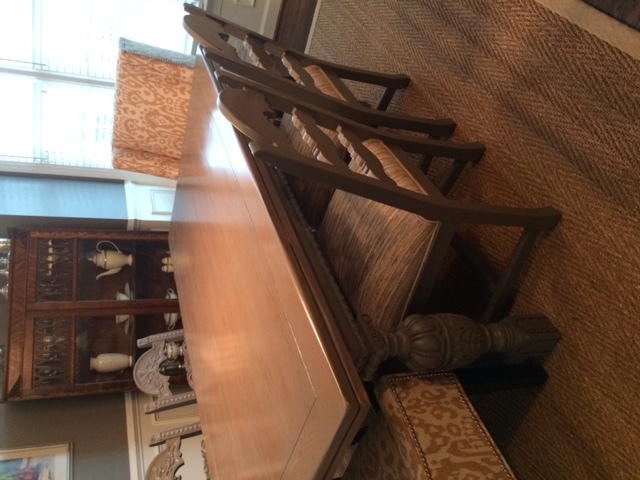 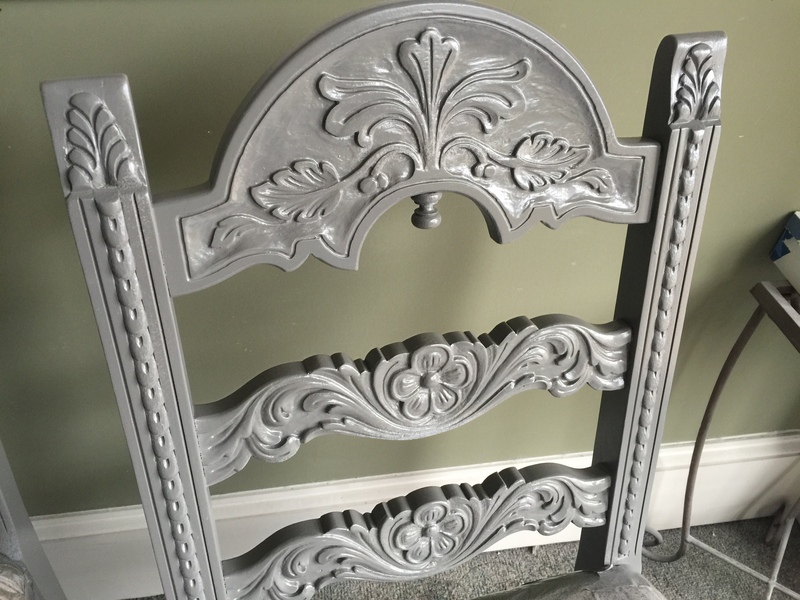 The set of 6 chairs received the same gray, and then they were given some gorgeous new fabric. 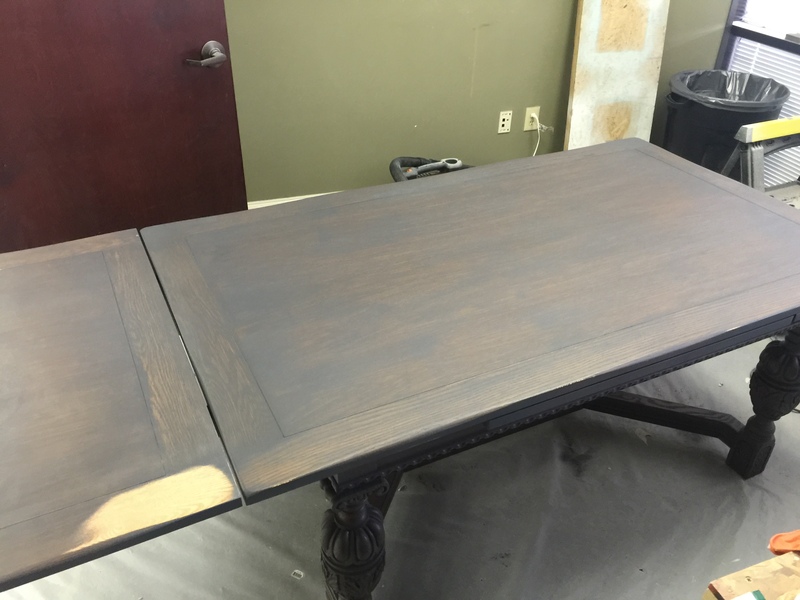 2 coats of paint wash on the table top. 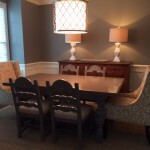 Chairs painted to match the table base. 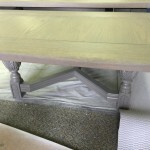 Paint on the base, and 1 coat of paint wash on the table top.